The Upper Tisza Foundation is a nonprofit organization, engaged in practical nature protection. It was founded in 1992. Szabolcs-Szatmár-Bereg County's calm lands, situated in the most eastern corner of Hungary, the romantic flood-area of winding Tisza river hides many tiny wonders, which discovery is waiting for You. To give as a foretaste we present you Szabolcs village and the belonging nature conversation area called Morotva, just as Igrice marsh in Nyíregyháza. - Why is it worth visiting? The more than 70 hectares big area, situated in boundary of Nyíregyháza, the county town, is protected since 1992. 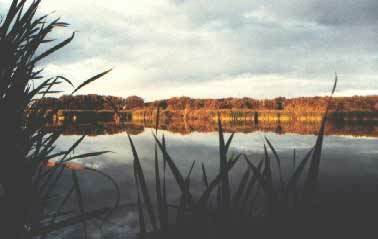 This marsh is one of the last representatives of the wetlands formerly varied wildlife. It presents habitat to 11 natural plant-associations, more than 200 plants and 105 vertebrate animals - mainly birds. The main part of the marsh is covered by bulrush and carex with narrow stretch of reed, in addition sedgy, grey willow and alder dominated associations make colourful the landscape. In the eastern corner can be found lowland freshland and on the western part saliferous grass stains. 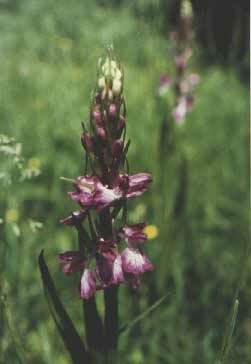 Many species of the plants are protected, for example the Swamp Orchid, belonging to orchids. The variety of habitats attracts here rich avifauna with many protected and rare species. Into the grey willow plantation the Night Heron and Little Egret have breeding but at the autumn migration the Great White Egret, Spoonbill and the Black Stork stay as a guests. A marsh will not be real without amphibians and reptiles. The concert of frogs recalls the atmosphere of swamps in Nyirség. Common Newts, Pond Tortoises live in the Igrice canal and in the wet meadow lizards and grass snakes can be observed. How can it be visited? Visiting of Igrice marsh is possible organized way, with the leading of a specialist - both in groups and individually - on the basis of previous checking with the manager of the area. The rich flora and fauna of the mortlake recalls the atmosphere of the tipical, nowadays already disappearing area of Tisza river. The wildlife is the most teeming and scenic at morning and evening. 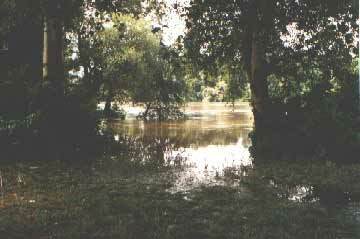 From the bird-watching house we get a fine view of the whole water surface in comfortable conditions - without disturbing the wildlife. 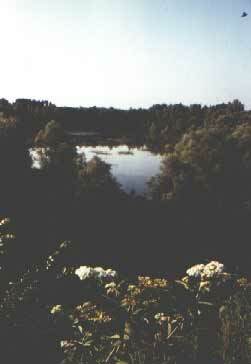 The water-bird's behaviour, the feeding and breeding of Coots, Herons, Grebes, Ducks is observable from here. At time of migration the Black Stroks, Great White Egrets and the other types of Heron also visit the backwater. In the riverside forest, bordering the mortlake, Black Woodpecker, Nuthatch and Oriole nests. The bird-watching house is also suitable for receiving groups or it can be used for both educational and teaching purposes. This part of the Upper Tisza region, in the often collapsing sandbank of Tisza river nests the biggest Sandmartin population of Middle-Europe. At the end of June the visitor can take pleasure in the sight of may-fly emerging, in the splended nuptial flight of millions of may-fly. The history of the village dates back to the long past, namely this settlement is one of the homes of Hungarian conquerors. Here can be found one of the nicest, mostly unbroken earthwork of Middle-Europe, which was built by Szabolcs leader of tribe, according to the chronicles. In the 11th century the monastery, set up near of the earthwork, was rebuilt on several occasions in the course of time. The monument of the Arpadian age is a Calvinist church today. The Country-house of Mudrányi's, which was built at the beginning of last century, is a museum at present. In a previously checked date with Upper Tisza Foundation, with special leadership as requested. In the course of this excursion the visitor can get to know the village and the natural values at same time. National parks and nature-conservation areas are the last chance of biological diversity. The preservation is our collective interest and responsibility. 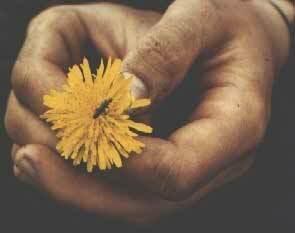 What can we do for our protected natural values? * Possibly you don't leave the indicated path in protected areas. The line of demonstrating paths avoids the most sensitive areas where you could do harm and disturbe by treading and presence. * Do not collect plants and not make a trial of transplantation! These plants live in natural associations and will die in a garden or flower pot. * Lay fire only at the signed fireplaces, with taking the forbidden periods into consideration. You can get information about it from news and the placed boards. * Take with you the arising rubbish if there is no dustbin. Don't leave food-leavings after you, neither in the dustbin. * Take seriously the directions and prohibitions of informing boards. About further important conduct-rules and instructions the leader gives you more information. Before you visit a protected area, please ask information from the area manager. *At the country town, Nyíregyháza and in the county: Tourinform Office of Szabolcs Szatmár Bereg County.